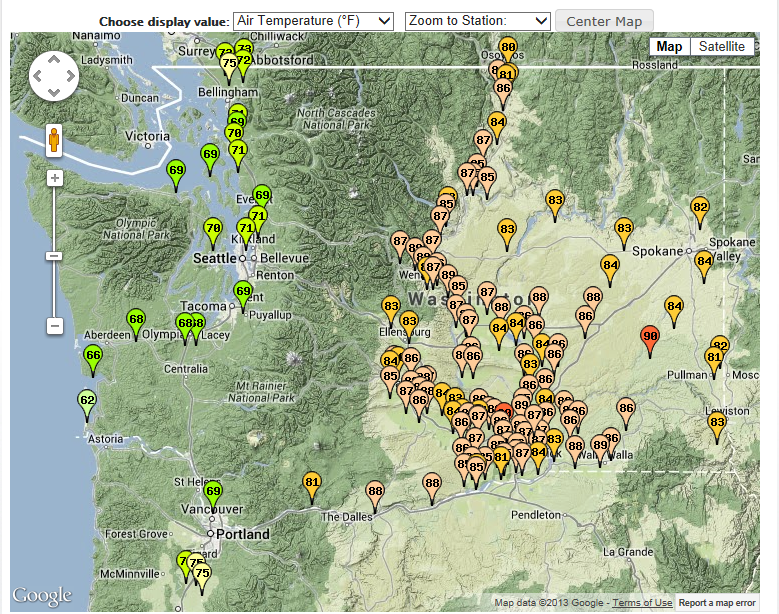 Click a link below for help concerning available AgWeatherNet tools. The AgWeatherNet Home link show a map of the current status of the AWN Network as seen in Image 1. You can change which weather variable is displayed on the map by selecting from the drop down list highlighted in Image 2. 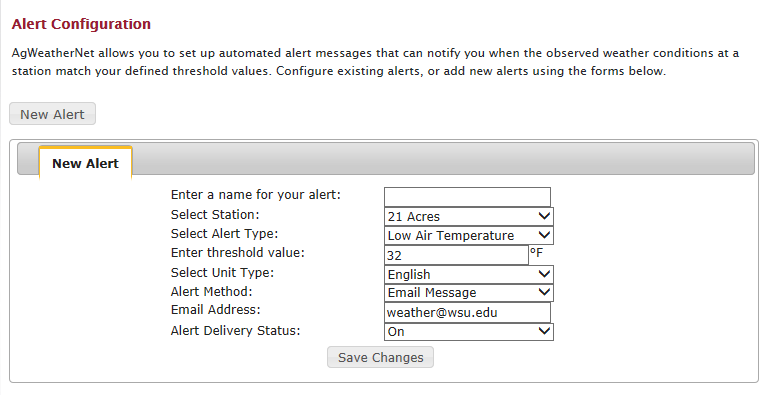 You can quickly zoom in to a specific weather station by selecting from the drop down list highlighted in Image 3. You can quickly center the map by click the 'Center Map' button highlighted in Image 4. You can switch between map views such as Terrain or Satellite by clicking on the buttons highlighted in Image 5. You can create and save custom pages to reuse over time by clicking on AWN Favorites.